It's the thirtieth anniversary of the Super Mario Bros. series this year, and Nintendo will be celebrating with the release of Mario Maker, a Wii U game that encourages the creation of creators' own Mario levels. We're bound to see this title at E3 this year, and it's quite exciting to see what the details of what kinds of levels we're able to create. To kick off the celebration ahead of time, I've decided to look-- or rather, listen back at some of the Super Mario Bros. series's greatest tunes and compile a list of what I perceive to be the best and most memorable. Feel free to disagree at any time. Just be sure to set me straight in the comments section! To start off this list, why don't I borrow a phrase from Mario himself? "Here we goooooo!" Note: Click on the names of the songs to listen to them via YouTube. 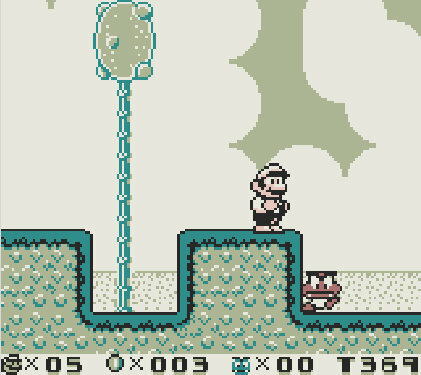 While Star Maze was another pick from this game that is indeed memorable, I find myself drawn more strongly to the more played Athletic theme from Super Mario Land 2: 6 Golden Coins. 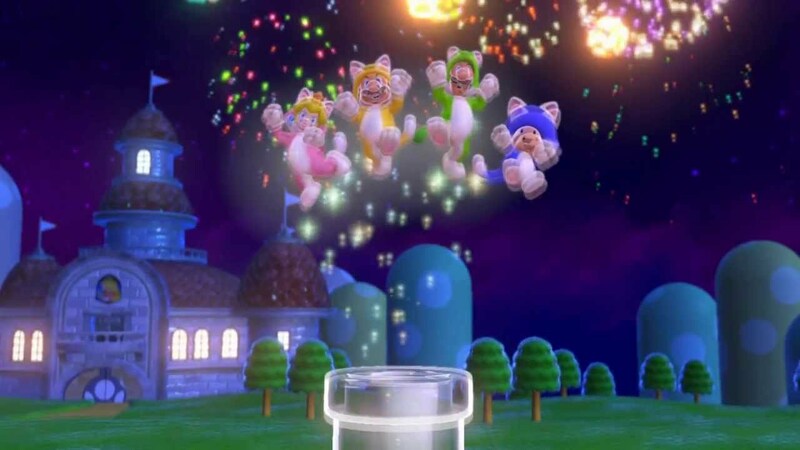 When you hear this tune, you know you're bound for some quick paced, uptempo platforming action. It's a perfect theme that boasts a rather catchy melody and rhythm-- a one-two punch of awesome! 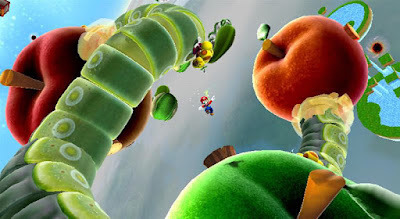 Super Mario 3D World delivered a soundtrack that was greatly comprised of big band tracks. No one was greater than the Staff Roll theme, playing above the credits of the game. You got the main theme of the game given a dynamic rendition, an adorable Bowser Theme interlude, and then the reprise of the main theme, creating a super catchy and bombastic end to a grand adventure. 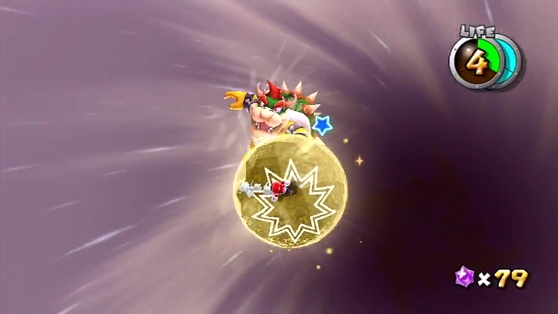 To utilize an overused word on the Internet, Super Mario Galaxy 2's final boss was made all the more epic with this choir-infused final boss theme. Although the actual battle was quite easy and on the short side, a bad thing if you wanted to listen to this theme for an extended amount of time in-game, this theme lends itself to the boisterous environment in which the battle with Bowser takes place, making it my favorite final boss theme from the Super Mario series. A terrific tune to perform feats of platforming prowess to, Super Mario Bros. 3's Athletic shows that with some simple rhythms and catchy melodies, Koji Kondo certainly knows how to craft some highly memorable tunes that truly stand the test of time. Whether you're sliding down hills, taking out Goombas along the way, or riding lift platforms in the air, Super Mario Bros. 3's Athletic theme is there to accompany you. Celebrate the coming of summer with this tropical delight. Like a fresh, crisp, and delicious tonic on a warm summer's day, Super Mario Sunshine's Delfino Plaza delights the senses and syncs perfectly with the setting. 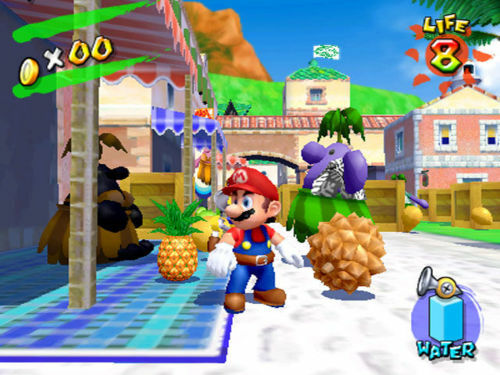 It made what was a sensational hub world for Super Mario Sunshine all the greater with this guitar-heavy beauty from the tremendous Koji Kondo. A much more moody and mellow track compared to past themes we've heard so far, Dire, Dire Docks presents players with a moving melody and synth string accompaniment. It's a terrific tune to go swimming in the deep to, plundering pirate ships, tangoing with Unagi the Eel, and exploring caverns to. When the beat picks up, the theme becomes even more superb. Yes, this theme is yet another example of composer Koji Kondo's brilliance. 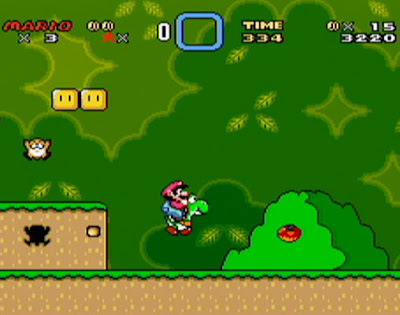 A theme so nice in Super Mario World that the melody is heard throughout nearly every song in the game. Whether you're hearing a foreboding version as you enter a Koopa Kid's fortress, listening to a haunting iteration inside a ghost house, hearing a slow paced waltz underwater, or having your ears pick up on a fast paced athletic version, the main theme of Super Mario World is so good that you won't get tired of hearing it no matter what type of level you're platforming in. Upon entering this colorful and windy galaxy, your ears are delighted with this uptempo and upbeat orchestral wonder by Mahito Yokota. It pretty much serves as one of the main themes to the Super Mario Galaxy duo of games, and its melody is so popular that it has appeared in a multitude of spin-offs and future entries in the Super Mario series of games. Now, the Gusty Garden Galaxy theme sits on the same shelf of classic Mario tunes as Super Mario World's main theme and many others. 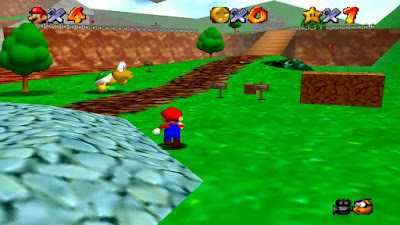 Played in many outdoor levels in Super Mario 64 as well as serving as the main theme of the game, Bob-Omb Battlefield is a jazzy little ditty supported by a nice "doo-doo" synth voice and synth brass as well. Whenever I hear this theme I can't help but picture myself controlling Mario through a colorful 3D world, scaling trees, punching Goombas, gathering red coins, blasting Mario out of cannons, and avoiding black balls rolling down the path to King Bob-Omb. What else could it be but the main theme of not just Super Mario Bros. but the entire series? 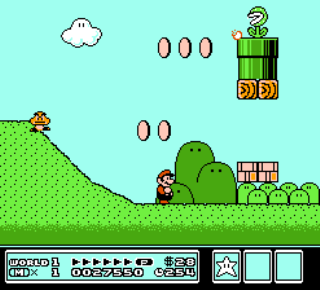 Through countless appearances in hundreds of games in normal or remixed form, the main theme of Super Mario Bros. is one of, if not the, most memorable theme in gaming. It might sound simplistic nowadays, but its simplicity is one of its greatest strengths. 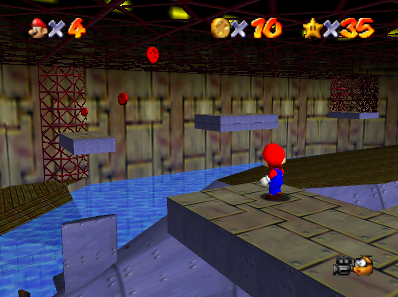 It's easy to remember and as soon as you hear those opening notes, you know what you're in for-- an awesome adventure with Mario and the gang!